'The solutions that worked in the past, when settlement numbered in the thousands, are inadequate today,' says former Minister in Kedumim. 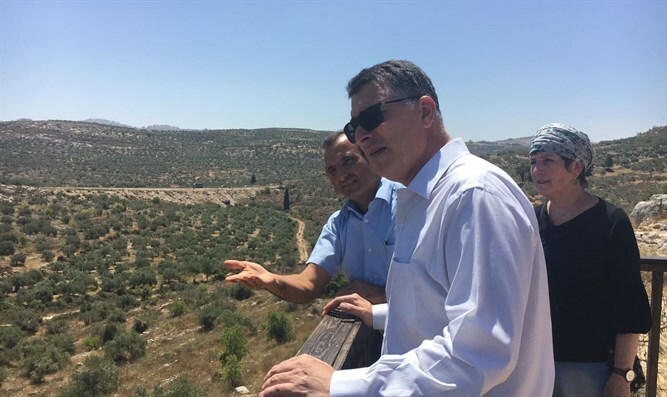 Former Minister Gidon Saar, who recently announced his return to politics as a Likud party member, visited today, Thursday, the community of Kedumim in Samaria. During his visit, Saar discussed the development of the community and met with residents. “Applying Israeli sovereignty over Israeli communities in Judea and Samaria needs to be a goal for Israel, both from a political perspective and as a prerequisite for addressing the needs of its citizens and the development of its communities,” he said.